Can this be true? Can you now use Android Is on your PC? Yes this is made possible with Remix Os. Remix OS is a computer operating system based on Android-x86 project developed by Jide Technology (not the typical Yoruba ‘jide’ you know lol). 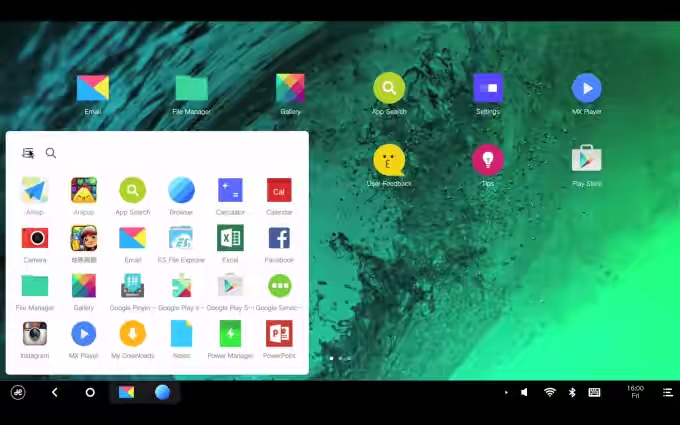 The beta version of Remix OS has a hard drive and USB stick installation, 32-bit support,UEFI and OTA updates. 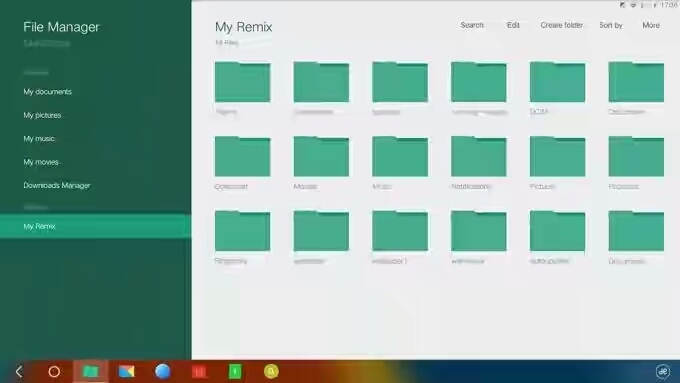 Remix OS is compatible with 32-bit and 64-bit computers and you’ll need just 8gb of space on your system for it. The system image which you’ll download to run Remix OS is 653MB for the 32-bit variant and 816MB for the 64-bit variant. Remember you can choose to run Remix OS using a USB stick or by making a permanent partition(8GB) on your system. √ Creating partition could take a while so you have to be patient. This is not the type of OS that could replace you windows OS, its simply for people who love android so much and would like to experiment with it. as for me i installed it mainly because i wanted to play android games in HD wide screen and with a pad, but as i played with the os for a while i began to find many amazing things i could with it. Multitasking have never been efficient on android like remix OS, you can open apps side by side without problems. Remix OS also comes with the normal android file manger,it’s navigation is pretty simple just like you see on your android device. Well you can run android apps on your PC – Facebook,Instagram,BBM,Google Playstore, hey! you an even play Candy Crush lol. Everything works perfectly well. Note: For those that would like to use remix OS for gaming, note all games work perfectly yet, dont worry installing this wont delete your precious windows OS, it will dual boot. If you think this article was useful, share on Facebook, twitter, WhatsApp and other social media. 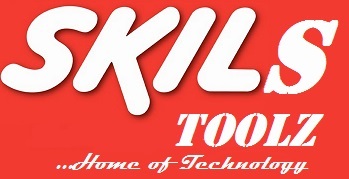 If you experience any problem, notify using the comment box.